The Queen is Not Dead! 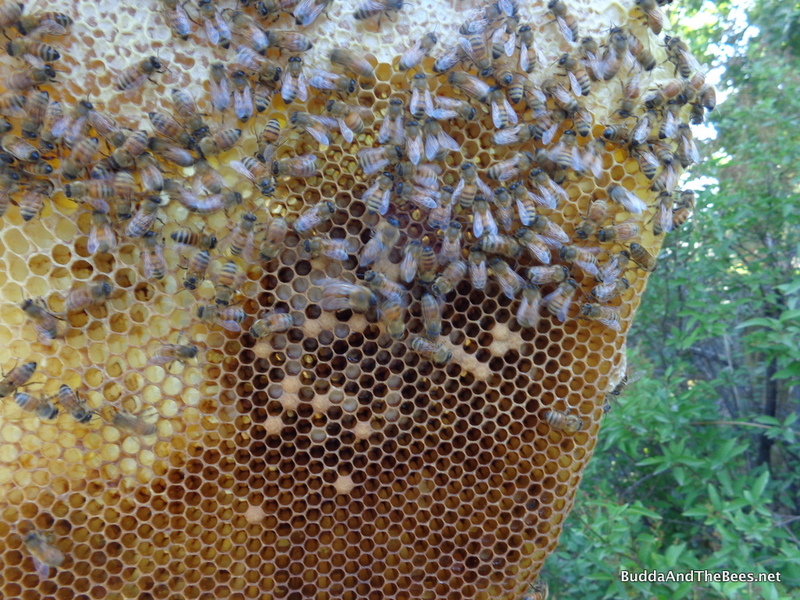 In my last post, I mentioned that Laura’s hive was queenless and there were no signs that any of the queens that had hatched made it back from their mating flights. I spent the week trying to buy a new queen locally, but all my efforts turned up empty handed. The last person I tried wasn’t going to have any queens until next Tuesday and I’ll be taking my son to college, so that wouldn’t work. Yesterday, Laura and I took one more peek into the hive on the off chance that one of the queens made it or at least to figure out if there were enough bees left to combine with another hive. Lo and behold, there was some brood and larva, so she had survived! The one thing I’ve (hopefully) now learned this season is that I need to be more patient when waiting for signs of a newly hatched queen to get mated and start laying. Since I didn’t really know when this queen had hatched, I guess I can give myself a break this time. So, it seem like this hive is queen-right again (although we never saw her). They did have a queen cell that looked like it had a larva in it, so that’s kind of worrisome. Unfortunately, I crushed it a bit when I was doing the inspection. If they do need another queen, I hope I didn’t damage the larva, but if they don’t then maybe that was a good thing. I’m not sure if this hive swarmed or the old queen just died (there were both swarm and supercedure cells). There are definitely fewer bees in here than earlier in the season, but since there’s wasn’t any brood in here for a while, I’m thinking it was attrition rather than swarming. This hive came from a swarm, and some think that swarms tend to beget swarms, so I’ll have to keep an eye on this one. 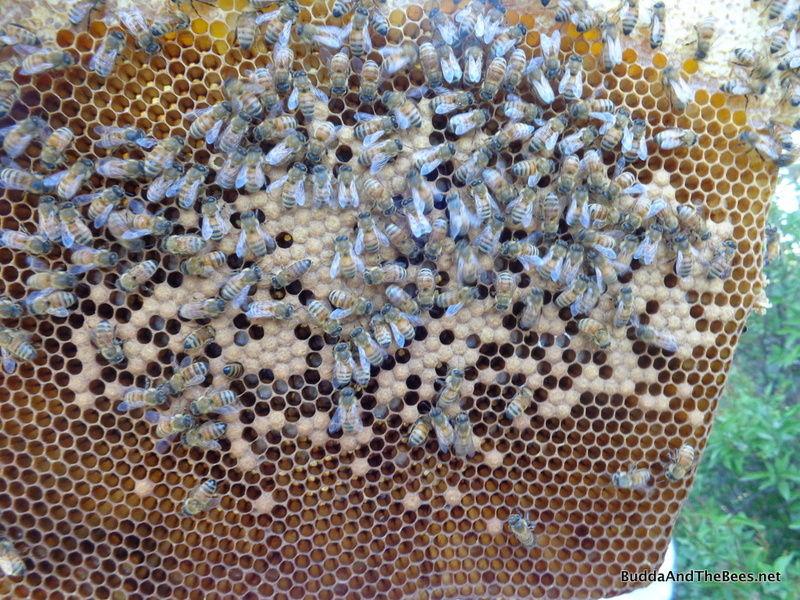 I’ll probably give it a frame of brood from one of the other hives just so they can bring their numbers up quickly since it is getting late in the season. They seem to have enough honey and pollen stores for now. 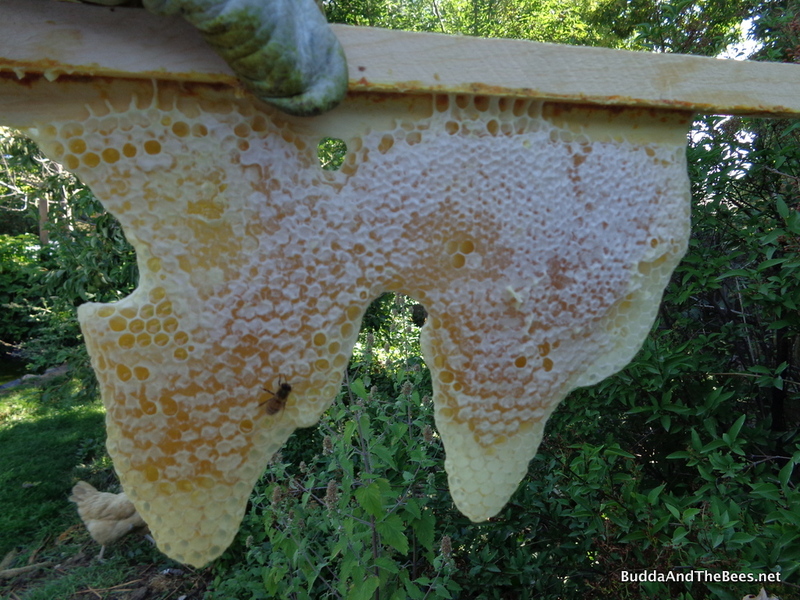 There is one funky looking comb of capped honey that I got a kick out of. It’s been like this for over a month – they just never seem to expand it further. I didn’t see signs of active mites (no mite poop, no deformed wing virus, no mites on bees), so I’m hoping the brood break knocked them down to a manageable level. It looks like the new queen has laid some drone brood (larva in old drone sized cells) and maybe I’ll cull that when they are capped. No need for drones this time of year, except to raise mites, so getting rid of that is probably a good thing anyway. So, as of today, all my hives are queen-right and all seem to be doing well going into the fall. Only time will tell! Hooray for your queen! It’s always such a relief to see those eggs — especially as fall approaches. You are so right about being patient. Usually, I wait 10 days after emergence to check for eggs, but sometimes it takes a bit longer. It’s nervewracking waiting sometimes, though.